Please mark your calendars & stay tuned for more details! Please visit our Sponsorship, Branding and Advertising Opportunities page to find out how your organization can become involved in the 2014 Assets Learning Conference. Your contributions and enthusiasm during the 2012 Assets Learning Conference made this the most successful convening of the asset-building field yet. Your commitment to the communities you serve are an inspiration and we thank you for your efforts at the ALC and in your everyday work. To view the PDF presentations from our 60+ concurrent sessions, visit our Agenda page and click on the session you are interested in. Presentations are linked next to the speaker's name, or below the names if the presentations were combined. Not seeing your presentation? Please email it to news@cfed.org and we will get it posted! Videos from each of our four exciting Plenary Sessions are now available as a playlist on our YouTube channel! You can also view these videos by visiting the Agenda page and selecting the Plenary Session you're looking for. Throughout the Assets Learning Conference, CFED Staff, volunteers and attendees were busy blogging about the sessions, plenaries and Conference as a whole on CFED's Inclusive Economy Blog. Browse through our blog posts here and check back often as we continue to post reflections from the ALC. Please provide your feedback in the comments section. If you'd like to post your commentary on the blog, send us an email. 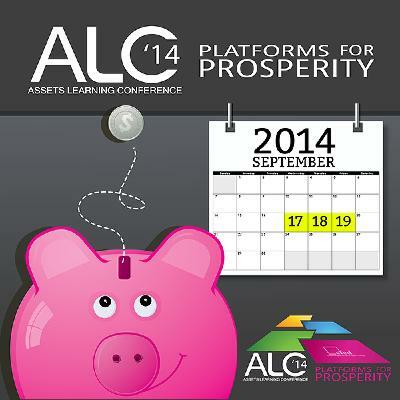 We have curated the best tweets, photos, quotes, Facebook posts and Instagrams from the ALC attendees on our Storify page. Relive the #ALC2012 through social media! Catch up on the daily news from the Conference with the ALC Newsletter, Today@ALC, from Wednesday, Thursday and Friday. 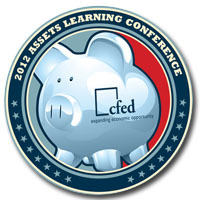 Your feedback is crucial in helping us plan an even better Assets Learning Conference in 2014. Click here to give us your feedback using the Conference Evaluation form.